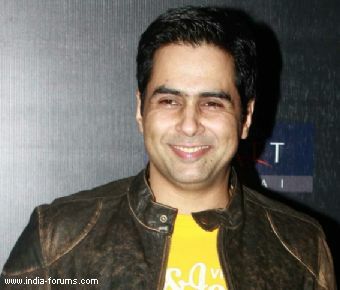 Aman Verma is an Indian TV actor and presenter who was last seen on Colors as a contestant of "Big Boss 9 Double Trouble" paired with Kishwar Merchant. Aman is a well known established name of Indian TV and film industry. He achieved immense fame with the show called "Khulja Sim Sim" on Star Plus. The show was telecast in between years 2001-2004. Verma has also worked for Bollywood and appeared in several films. He is currently playing the character of ACP Dilip Kumar in the serial called "Hum Ne Li Hai- Shapath" for Life OK channel. Aman was born on 11th October 1971 in Tinkitam ( Sikkim, India ) and made his debut with the TV serial "Pachpan Khambe Laal Deewar" and got the chance soon to work for serials like Kyunki Saas Bhi Kabhi Bahu Thi, Viraasat, Bayttaab Dil Kee Tamanna Hai etc.. He also awarded for Best actor in lead role for his character in "Kehta Hai Dil" followed by another one in 2006 for his negative role in "Viraasat". In 1999, he initiated his film career with the movie called "Sangharsh" and soon got the chance for the main role in the movie "Koi Hai". In the year 2003, he grabbed Indian Telly award for his lead role in "Kehta Hai Dil". He portrayed the character of Aditya Pratap Singh and was highly praised by the audience. Later on, he appeared in an Amitabh Bachchan and Hema Malini starred film called "Baghban" followed by another one "Jaan-E-Mann" in the year 2006. Aman is not married yet and still maintaining the status as "Single". He spoke to media about his status and marriage that he is seeking a long list of qualities from his to be wife. He told that "I'm quite a difficult person. So somebody who is able to understand me, who can tackle me. Great eyes, sense of humour, etc... all that takes a backseat to a point. What matters really is somebody who you can sit down and have a conversation with."